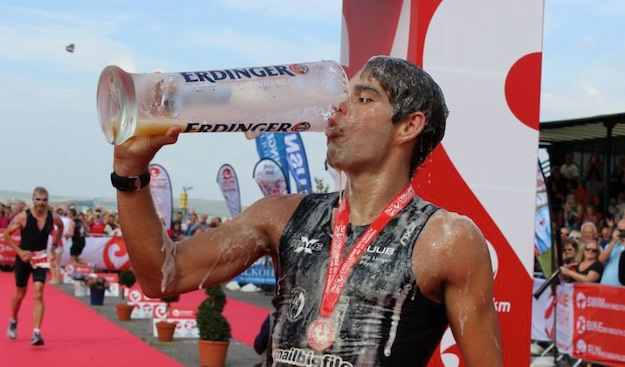 Can Joe Skipper win the ITU Long Distance World Champs? 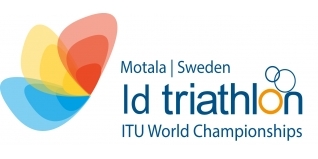 "I want to win it and I'll be certainly aiming to do that..."
This coming Saturday (27th June) sees the 2015 edition of the ITU World Long Distance Triathlon Championships take place in Motala, Sweden. The race is held over a format of 4km swim / 120km bike / 30km and offers a healthy prize purse of $90,000, with the top three finishers receiving $11,250, $9,000 and $6,750 respectively. 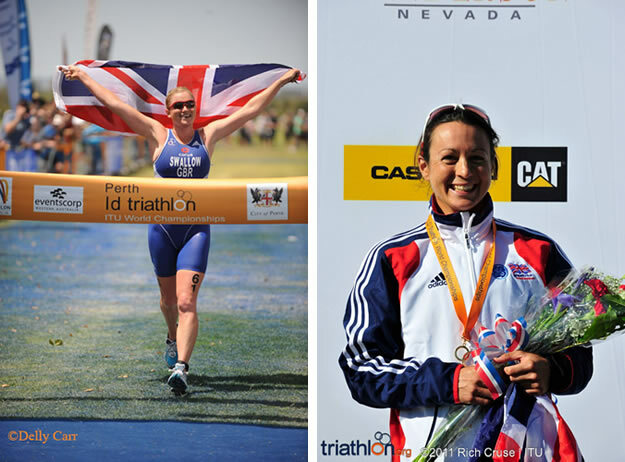 There was a period of time in which this event was dominated by British athletes - in the women's event at least - with Bella Bayliss (2006), Leanda Cave (2007), Chrissie Wellington (2008), Jodie Swallow (2009) and Rachel Joyce (2011) providing a run of five wins in six seasons, punctuated only by Caroline Steffen in 2010. On the men's side, the British medal returns have been far leaner, and we have to go back to the second edition of the event (1995 - Nice, France), to find the only British male winner, when Simon Lessing took Gold ahead of future multiple Ironman World Champions Luc Van Lierde (BEL) and Peter Reid (CAN). Spencer Smith, with Bronze the following year in Muncie (USA) - behind Greg Welch (AUS) and Luc Van Lierde, is the only other British male to secure a podium finish. 20 years since that win from Simon Lessing, is a British victory possible this weekend? 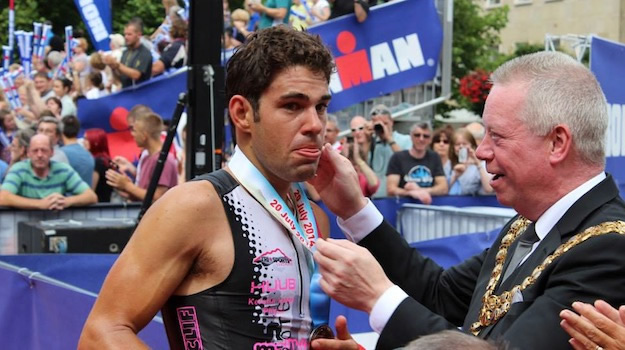 Joe Skipper is GB's sole representative in the men's Elite event - with Amy Forshaw our only female Elite entrant - and Joe will arrive in Sweden full of confidence after a career best performance at Ironman Texas, an important milestone for Joe which I analysed HERE. With the race a few days away, I asked Joe how his recovery and preparations for Sweden had been and find that he's completed his "best ever" training in the past four weeks, that being in so much pain from Ironman racing that you are in tears is "intoxicating and addictive" and why if anyone doubts him, "I'll make them eat their words, don't you worry about that!" You had a career best result five weeks ago at Ironman Texas – how did you recovery go from that, and are you feeling ready to with another big effort this weekend? My recovery was great after Texas. I was going to race Staffordshire, but then initially after Texas (3-4 days), I was shattered and my legs were in pieces. I thought there is no way I can race a half Ironman in two and a half weeks time. This quickly changed though and a week later I was back training and soon found myself hitting better numbers then prior to Texas. The week of Staffordshire I actually found myself wishing I was racing as I was going really well, but by then it was too late and I had already committed to racing the ITU World Long Distance Champs. In this last four weeks I've completed my best ever training and have taken a lot of course records and victories in local time trials as well as third place in the County 5k championships. I've used all these as training and can't wait to compete again feeling fresh and tapered and seeing what I can do. With three weeks after Sweden until Ironman UK, another big goal of yours, the timing of this event seems perfect – was it always on your schedule or was it a relatively late edition following your Texas performance? It was a late edition after Texas. I looked into it and it fits really well as I would do a similar session to that 3-4 weeks out from an Ironman so I might as well race the World's. This way I can test myself against some very good opposition and hopefully get a good result in a prestigious event. You'll be racing 4k / 120km / 30km – probably somewhere in the region of six hours – how do you think that will work for your strengths, versus the typical eight/nine hours of an Ironman? It doesn't suit me as much as an Ironman because of the longer swim compared to the shorter bike and run, but saying that running 30k after already racing for four hours is a big demand and you will have to be a strong athlete to race well. Also, if I get a result in it personally, then it definitely bodes well for Ironman UK as the bike and run are my strengths and in the Ironman they are much longer with a shorter swim. What are your aims for the weekend? You took a huge number of big name scalps in Texas and while you've always had that confidence in your abilities and potential, actually delivering that must have given you a huge boost, with no reason to fear anyone? I want to win it and I'll be certainly aiming to do that. And yeah, I don't fear anyone, the draw to Ironman and long distance racing is the fact that you can really hurt yourself and put yourself in a box. I love pushing myself to the limit and being in a strong field for me is fantastic as you are going to be pushed to the limit. When I cross the line I want to be barely able to stand up. In the past when I've raced Ironman I've actually been in tears because the pain was so unbearable, it was as if I had been hit by a hammer in the legs but my whole body hurt. Now that sounds horrendous, but it's a fantastic feeling when you get to the end and you have absolutely nothing left to give. It intoxicating and addictive. I'm looking really forward to these next to races and can't wait to get stuck in. I look forward to being in a tough battle where you are on the physical limit and it's the person who can dig the deepest that will come out on top. Races like that are what motivate me in training and that fuel the fire! Are you someone who looks in detail at the start list to identify potential competition (and if so, who do you see as the key players? ), or do you just plan on doing your own thing and smashing it?! I most certainly do look at the start list in detail. I think it's a massive tactical disadvantage for pros that don't look at it as you need to be honest with yourself and know who you can beat on the run, who you can't, how much of a buffer you would want over certain athletes starting the run etc. I like to pride myself on good tactical racing and part of this is looking at the start list. I see the threats as Ronnie Schildknecht, Dirk Bockel, Ritchie Nichols and Martin Jenson. Those are the four athletes that stuck out. I always try my best to surprise people and it seems people constantly like to doubt me. In Texas one report I saw didn't have me even coming in the top 15. It's all the more motivation I need for the race. I'll make them eat their words, don't you worry about that!